In 1968, Great Britain announced its decision to terminate, by 1 December 1971, the treaty relationship and with it the British protection of the seven sheikhdoms, as well as Bahrain and Qatar. The nine parties attempted to form a union, but by mid-1971 they were unable to agree on terms. 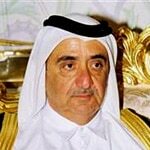 Both Bahrain and Qatar decided to become separate, independent states, in August and September 1971. On 2 December 1971, six of the seven sheikhdoms entered into a union called the United Arab Emirates. These were Abu Dhabi, Dubai, Fujaira, Sharja, Ajman, and Umm al-Quwain. The seventh, Ras al-Khaima, joined the union in early 1972. 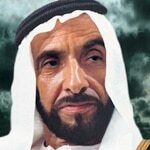 In 1971, Sheikh Zayed bin Sultan Al Nahyan, the ruler of Abu Dhabi, became the first President of the UAE. Many Emiratis refer to him as ‘the father of the nation’, because of his strong leadership and his commitment to forming the federation. 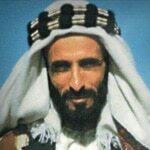 Sheikh Zayed succeeded his brother, Sheikh Shakhbut, as ruler of Abu Dhabi, after deposing him in a bloodless palace coup. Re-appointed by fellow UAE rulers in the Federal Supreme Council every five years since 1971, Sheikh Zayed promoted moderation, religious tolerance, and equality (especially for women), which contributed significantly to the prosperity and stability of the UAE. Two days after his death, on 2 November 2004, the Federal Supreme Council elected as his successor his son, Sheikh Khalifa bin Zayed Al Nahyan, who had been crown prince of Abu Dhabi since 1969. 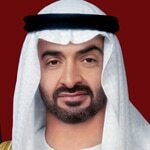 Mohammed bin Zayed Al Nahyan succeeded Khalifa as crown prince. In January 2006, the Vice-President, Prime Minister, and ruler of Dubai, Sheikh Maktoum bin Rashid Al Maktoum, died and was succeeded by his brother, Sheikh Mohammed bin Rashid Al Maktoum, then Minister of Defence. Like his brother, Sheikh Mohammed holds the offices of both Vice-President and Prime Minister and succeeded him as the ruler of Dubai. Sheikh Mohammed effectively pursued ambitious plans of transforming Dubai from a small fishing and trading port into one of the world’s most recognized metropolises and leading financial capitals. In the early 2000s, largely as a result of Sheikh Mohammed’s efforts, growth rates in Dubai reached double digits, and investment and workers poured in from Asia, other Middle Eastern countries, and the West. He also worked to insure that the Emirate of Dubai was the most open and tolerant for foreigners in the UAE. The financial crisis of 2008 virtually ended Dubai’s boom years and ruined its economy, leaving the emirate with massive debts to foreign investors. Dubai was forced to renegotiate its debt-payment schedule, as it waited for help from its rich neighbour, Abu Dhabi. In December 2009, Abu Dhabi gave Dubai USD 10 billion to pay off the debts of the government-owned company Dubai World.